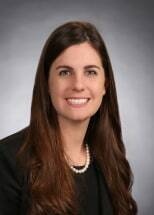 Candice L. Barnard joined the firm in March 2019. Her practice is concentrated in Oil and Gas Title Examination. She was admitted to the State Bar of Texas in 2016. A native Texan, Candice received her B.A. in Political Science from the University of North Texas in 2013 and law degree from Texas Tech University School of Law in 2016. Candice has been practicing in Midland since 2017 and is proud to call Midland her home. Lost and Can’t Be Found? FAA Says So Long to Model Aircraft Use by Non-Profit Search and Rescue Organizations, 3 BUS. & BANKR L.J. 199, (2016).